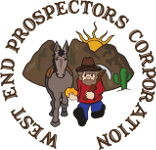 Get the new claim maps here | West End Prospectors Corp. Please log in with your member account to view and download the maps. Thanks to Dmitri for creating a new set of maps.